This may just be the scariest, yet most liberating thing, that I’ve ever done. I have been working up the courage for years and years to talk about this long-standing struggle I’ve been dealing with. As a woman, especially with today’s standards of beauty that are hard enough to live up to for anyone, experiencing severe hair loss took a massive hit on my confidence. Even deeper than that, it led me to shut down in so many ways. I hid myself from the world, and I started playing small in every way. I was just so consumed by the FEAR that someone would find out, or even worse, that someone would SEE me as I really am. I couldn’t handle the thought of being judged or criticized for something I couldn’t change. Honestly, this point of release and liberation was a long time in the making. I struggled for so many years on my own, and I’ve been wanting to share to my story forever but the fear was too powerful. In this episode, I share my experience of going through this for the past 15+ years and how I got to the point where I was ready to open up about it. This is just the beginning and I have so much more to say about this topic. I have done a lot of my own work to get to this point and I’d love to share it with you over the weeks and months to come. I know that you too have you struggles that you don’t share with the world. It might not be as extreme as severe hair loss, but there is something. And I hope that this episode reminds you that you are NOT alone in dealing with it, and that it is something you can overcome and move past too. This isn’t the end of my journey. This is just the beginning. And if you want to join me and hear more about the steps I’m taking to heal and grow, do let me know! I’d love to know if my story resonates with you in any way, shape or form. When you’ve listened, please do me a huge favor and share your thoughts with me. You can write a comment below this post, or reach out to me on social media or you could even write an iTunes review. And last thing - if you know someone who is struggling and feels super alone in it, please do them a favor and share this with them. We all deal with our own stuff, and sometimes knowing that you’re not the only one going through heavy things helps tremendously. THANK YOU so much for being here and for listening. I’m so grateful for the fact that you are here with me through this crazy journey! Do you know what it feels like to be in complete dis-alignment? Even if it's just in that one area of your life where things just never feel right? I have been there many more times than I can count, and I believe that these situations are precisely what we need to show us the path to alignment. My guest on this week's episode is Sarah Ezcurra and during our conversation, she shares with us exactly how to go about identifying your core values, and how to align every part of your life with those values. Sarah serves the world by helping creatives get results with clear, actionable strategies to reach specific goals. Through years of experience doing this, she has come to know what it takes to create strategies that work. She loves to give entrepreneurs tools to identify and live from their core values, then implement them in their life and business. Her own business, The Maui Collective, began with live events for entrepreneurs and professionals on the little island of Maui. The focus has since expanded to impacting creatives beyond Maui with tools and resources to achieve both business and heart health. This is an incredibly powerful episode with strong potential to change your life IF you are brave enough to implement some changes. And I know you are! I hope you enjoy it. And if you do, please don’t forget to hit subscribe inside your podcast app to make sure you never miss another incredible episode again! I know what it feels like to have massive dreams and goals, the kind that light you up so bright inside. I’ve learned now that those feelings are just nudging me to take a look in the mirror and figure out what needs to be dealt with in order to launch forward into the next level of my life or career. This very short rant-like episode gives you 3 tips that you can use starting today to get out of your way. Because progress is everything. We don’t JUST feel the joy, meaning and fulfillment when we get to our destination. We also feel it every step of the way, as long as we are moving forward. And of course when you’re done, come on over to Instagram and let me know what you thought about this episode! Hearing your comments is (no word of a lie) ALWAYS the highlight of my day. Wondering why you aren't achieving some of the goals you're setting out to achieve? You may be dealing with the most critical of all critics - the one within. For many of us, we don't even notice that little voice in our heads, or if we do, we believe it is who we are and that we can't change it. The good news is that we can, and in this episode, Taylor Neely explains how we can go about that. Taylor Neely is a personal trainer and workshop facilitator that helps her clients focus on their mental health as they go through their journey to improve their physical health. Taylor has been a competitive athlete for most of her life and felt a strong gap in her own life when it came to her physical and mental health. Through her own personal growth, she realized the importance of self awareness and transforming our self talk from negative to positive, and ultimately how these things influence the outcome of every single thing we aim to achieve in our lives. I hope you enjoy this episode, and if you do, take a screen shot and let me know over on Instagram or leave a review for the podcast over on iTunes! Both of these small actions go a long way! Is there something in your mind that you really, really want but on some level you almost don't believe it's possible? Or even worse, does every one around you tell you straight to your face that what you're after is never going to happen? Well, my guest on this week's episode knows all about that! Troy Campbell achieved incredible success in the world of fitness and bodybuilding, without any drugs, despite the fact that everyone around him said he'd never be able to do it. Troy has now used this incredible success to launch a brand new career in acting. In this episode, Troy talks about important barriers that we must overcome on the way to our dreams, like surrounding ourselves with people who understand and support our goals. If you are on a mission to achieve something big, then you are going to love this episode! Have you ever been super confused about your identity? I remember a very specific time in my life when I was super confident that I had figured out everything there is to know about myself. It’s honestly almost laughable now, because now I know that you can never ever know everything there is to know about yourself! Because you are always changing and evolving, and that’s the beautiful thing about being human, isn't it? When I decided that I knew everything about who I was, I stopped growing. It took me years to realize that the reason I was so miserable was because I had completely lost touch with who I was. My sense of identity was completely out of date. It was old and was overdue for an update. When I re-committed to figuring out who I was, I was shocked at how much I had changed over the short few years. And as soon as I finally realized that I can never stop learning about myself, my growth skyrocketed. So when Virginia Gronley told me that she strongly believes in the Law of Awareness - in order to grow yourself, you must know yourself - I knew it was imperative that I have her on the podcast! 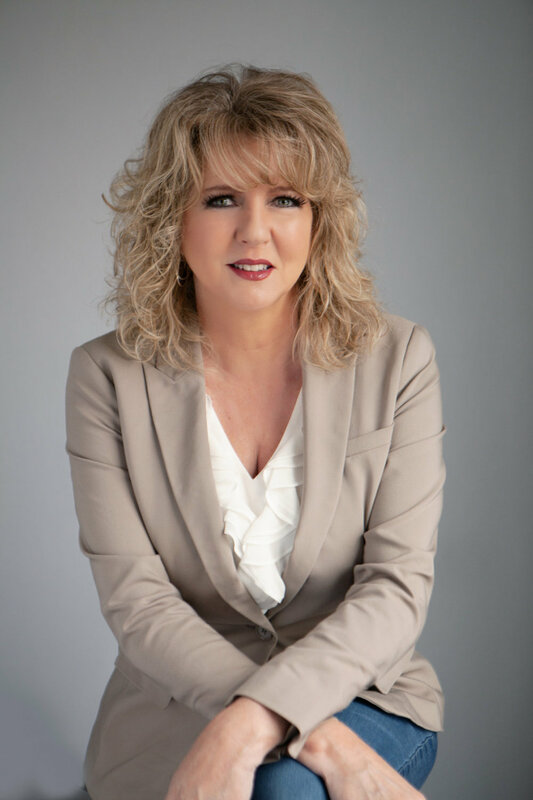 Virginia is a leadership speaker, coach and trainer and her mission is to help individuals, teams and businesses develop their leadership skills. She has worked in the leadership world for over 20 years and has led over 100 training events helping individuals, teams and businesses maximize potential, enhance engagement, performance and productivity. I know that you are going to love this episode! And when you're done listening, be sure to take a screenshot and tag me (@miriambuttu) and Virginia (@virginiagronley) on Instagram and let us know what you think! I was so frustrated with myself and was desperate for a change in December of 2015. I had huge dreams but I wasn't taking any action. I would start new projects and drop them as soon as it got hard. Everyday I asked myself how it was ever going to be possible to achieve ANY of my goals if I wasn't able to be consistent. And there it was...my 2016 word of the year was born. Consistency. I went on to create my first blog and wrote a brand new post every single week. So many things shifted that year because of my word/theme for the year, and one of those things was my ability to trust my own commitments to myself. And wow was that ever powerful! That's why I had to have Robin Finney on this podcast as the first post for 2019! In 2018, she lived her intention of Bold Freedom to the fullest by quitting her corporate job of nearly 11 years and letting go of many of her possessions to follow her dream of traveling the world. Now, she is a nomad, writer, self-made international model, yogi, and Wandering Aunt. As a yoga student and teacher, Robin knows the importance of setting intentions and has seen firsthand how powerful they can be, and that's exactly what she shared with us today during this interview. Have a listen! And once you're done, we want to hear what your word of the year is. I tell you exactly how to share it with us at the end of the episode. Enjoy! 2019 is right around the corner, or maybe it's already here by the time you're reading this! Either way, have you prepared yourself for the fresh start by getting super intentional about what you want to change in the new year? Look, all of us want to change. Every single person I know wants to change. The problem is that most people don't know HOW to do it. And that is exactly what I help you do in this episode. By the way, this episode is essentially the Part Two to Episode 11, where I led you in reviewing the last year in order to be able to plan right for 2019. Unfortunately, you can't do one without the other! So if you haven't listened to Episode 11 yet, you can find it right here, and don't forget to scoop up the free downloadable workbook I created for you to make the whole process easier. This episode gives you 3 simple questions to use as a framework to integrate more of what you want more of in your life, and to slowly eliminate what you want less of in your life. This process is a game changer, especially after you've reviewed your last year following the process I shared in Episode 11. Once you've put in the work, don't forget to send me a message and tell me about the magic! P.S. At the end of this episode, I share some insider information about what has changed in The Career Clarity Accelerator Program 2.0 which will be launching mid-January 2019! Stay on the lookout for more info through email or on Instagram if you’re up for the challenge! I’ll email you once a week with new podcast episodes AND you’ll be the first to know when the Career Clarity Accelerator Program opens its doors again! As someone who practices yoga and meditation, I was blown away by all the wisdom that was shared in this interview with Trish Tutton. Lightbulb moments, epiphanies, full circle realizations, the whole nine yards!! Trish is a Speaker, Yoga and Mindfulness teacher, a graduate of theatre school and a lifelong student. She is curious about how being more present can make us happier and healthier. Her passion for sharing mindfulness comes from her own experience of working in the corporate and non-profit sector. During this time, she experienced the incredible benefits of having a mindfulness practice. She was more energized, happy and focused, and felt better equipped to manage the stresses of her work. She has since taught hundreds of professionals how to transition from overwhelmed and ineffective to focused and efficient. I walked away from this conversation feeling super empowered and with a much deeper sense of knowledge and control over my life. I cannot wait for you to listen to this episode and once you’re done, please come on over and share your thoughts with myself and Trish over on Instagram! A few years ago during December, I remember feeling an intense urge for change. An intense urge to turn a new page, start fresh, and change my life. The problem was that I had no idea where that urge was coming from or WHAT I specifically needed to change to be happy. Luckily, I followed the urge, and what ended up coming out of it was a year end review process that I continue to turn to year after year. Now, I’m sharing this process with you in this week’s episode of The Power & Potential Podcast! It is incredibly powerful, and it has worked wonders in my life. I can’t wait for you to listen in on this episode and give the review process a shot! It’s a deep and reflective process that helps you get to the bottom of what REALLY needs to change. Not the surface-y stuff like getting a new job or losing weight. This process helps you get to the root of the good and bad things you’ve been experiencing. I also created this free workbook to facilitate your review experience. The structure is already there, the questions and prompts are there…all you need is to put aside some time to truly reflect. Download it now so you have it on hand when you’re done listening! Part 2 of this process is coming soon and it will guide you through planning 2019 in the most authentic and true way for YOU. So stay tuned for that episode!